With each recent decade, we’ve seen a new form of human-computer interaction emerge and quickly become commonplace. Each step brought a magic moment when we discovered what we could suddenly do: Click with a mouse! Pinch with our fingers! Soon after, we realized the full potential of each form—that we could do more with the mouse than play Solitaire, for example. People are now awakening to the vast potential of VUI. They are engaging in voice experiences beyond customer service and search. They’re talking to Alexa to control their lights, play games, and even plan entertainment. There are four broader trends fueling the rise of voice. Web services and the Internet of Things provide ready-made opportunities for voice. Sensors and readouts, for example, make for natural smart-home integrations. Now anyone can leverage learnings from fields like automatic speech recognition (ASR), natural language understanding (NLU), and text to speech (TTS). Existing hardware can support far-field voice input processing (FFVIP), enabling a wider range of experiences with VUIs. Thanks to advances in machine learning, VUIs are learning and adapting to users’ speech patterns, preferences, and contexts over time. All of these advances are driving an inflection point in voice technology. But the core driver isn’t any technology; it’s us. We welcome voice experiences because we are wired for speech. Consider the kitchen timer. With Alexa, setting a timer is as easy as saying, “Alexa, set timer for 10 minutes.” Who would have guessed pushing a few buttons on the microwave would become the less convenient option? 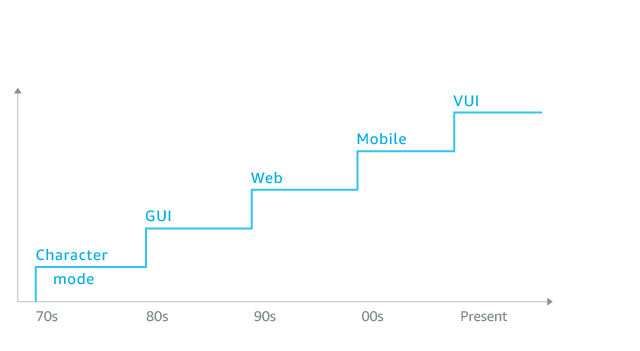 Like its predecessors, VUI is quickly becoming capable and robust. With each turn of technology, it took the bold, the brave, the adventurous—the indie developer—to show us what's possible. And these visionaries are now doing the same for voice, paving the way toward fully-conversational, multi-modal interactions that extend to mobile, wearables, and even virtual reality. 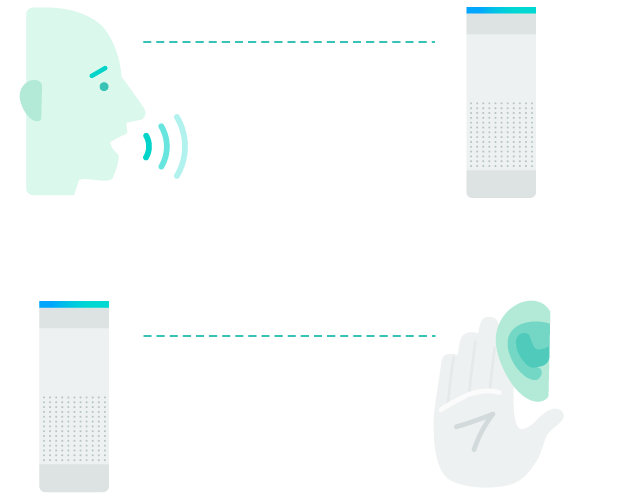 Thousands of designers, developers, and brands have already built more than tens of thousands voice experiences with the Alexa Skills Kit (ASK). ASK is a collection of self-service APIs, tools, documentation, and code samples that enables anyone to build capabilities, or skills, for Alexa. With ASK, you can leverage Amazon's years of innovation in the field of voice design and reach millions of customers. Start building for voice and join the next revolution in computing.